Training processes for millennials, that is, people born after 1980, have to be a lot different from what they usually are. This section of the population is often seen as short on time and patience, and is more reliant on technology. No organization at present has only millennial employees, and that is why the generational gap at the workplace needs to be bridged. When it comes to training millennials, your training room can play a major role. A seminar room rental company can help pack modern-day facilities and conveniences in your training premises. Read on to learn some useful tips on training millennials. Human beings have an innate tendency for working industriously for goals that matter. Millennials are steadfastly bound towards work that is meaningful. As a business, it is important to be careful with the on-boarding of new recruits. Do not just pass on your organization’s handbook and expect them to memorize it. Due time and resources have to be invested for your millennial employees to comprehensively understand your company’s policies, history, vision and mission. For them, better motivation comes from better understanding. From looking the meaning of a word to calculation and communication, millennials have always had technology by their side. It is for this reason that you will have to make smart use of technology and audio-visual aids to train them. 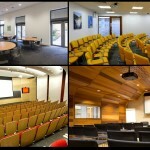 Seminar room rental companies offer free Wi-Fi and efficient projection systems for the same. You should conduct training sessions both with whiteboards and markers and with slide-based presentations, but the focus should be on training. Overcompensating with technology can scatter the whole objective and render the process ineffectual. Such has been the accessibility and overflow of knowledge in the present age that the millennial has only learned to retain bits of information that are currently relevant. In such a context, it pays more to train these younger employees to locate more information on their own, rather than attempting to stock their minds with large amounts of information. This is useful because knowing how to find certain areas of knowledge is more effective in the longer run than trying to learn them. Workplace has to be a more motivating and independent place than school and college classrooms, and that is why communication has the biggest role to play in the training of millennials. In order to utilize their full talents, trainers will have to draw their complete attention. Ask questions that encourage them to talk about themselves, personal incidents and observations. Seeking feedback on the course is also a good idea. This will also send across the message that their opinion is valuable, and help assimilate them into the training process. Millennials expect constant feedback and suggestions on improvement. It is also important to let them know the criteria being used to evaluate them. Feedback can be given in innovative ways, for instance, by involving seniors in the coaching process. Mentoring younger employees does not have to mean hand-holding, but dynamic engagement and continuous evaluation. The same can also be done via online processes. This entry was posted in General, Training Room and tagged seminar room, training room on September 9, 2016 by .